Having a healthy, bright, beautiful smile improves your appearance and lets you smile with confidence. With fast, painless and surprisingly affordable treatments, Alex Chan, DDS uses modern cosmetic advances to improve your teeth and your overall oral health. Give us a call today to find out how we can create the enhanced dental appearance you've been looking for! The term "cosmetic dentistry" is a bit of a paradox because the professional field does not identify cosmetic dentistry as a specialty. It's a name that we gave to a vast majority of dental procedures or treatments that can help you with your smile's aesthetics. From subtle changes to major repairs, Alex Chan, DDS can perform a variety of procedures to improve your smile. There are many techniques and options we can use to treat teeth that are discolored, chipped, misshapen or missing. Our skilled team can reshape your teeth, alter the length of your teeth close spaces, or restore worn or short teeth. Common cosmetic procedures include bleaching, bonding, crowns, veneers and reshaping and contouring. No matter what procedure you decide to choose from, it is important to continue practicing daily oral hygiene by brushing twice a day, flossing at least once, and rinsing daily with an antiseptic mouthwash. 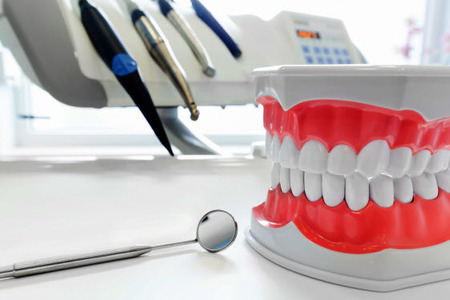 Be sure to visit our office regularly to ensure your smile is healthy, as well as beautiful. Get The Smile You Want! Which Cosmetic Treatment is Right for Me? The first step toward positively enhancing your smile begins with understanding which treatment or service is right for you. The first thing people notice about you is your smile, and it can have a dramatic impact on personal relationships, self-esteem, and overall health. We provide a comfortable, family-friendly environment where we can take care of your individual needs and find the best service combination for you. Our experienced team will do a comprehensive exam first, along with x-rays and any other tests needed to determine your overall oral health. Next, we will meet with you and get to know your priorities. Then together we can create a treatment plan that meets all your needs. Teeth Whitening - Often our primary complaint about our teeth is that they are not white enough. When you smile, this can cause you to feel self-conscious. Bleaching your teeth is one way to help you whiten and brighten your teeth so that you can smile with confidence. Our team will need to assess your oral health condition and take your dental history into account before choosing the right treatment for you. We will investigate the staining source and give you advice and guidance on how to avoid it in the future. We provide teeth whitening treatments in the dental chair (in-chair whitening) or with a prescribed take-home kit. Dental Veneers - If your teeth are in good general condition, but you do not like the way they look, dental veneers can create a dramatic improvement. A veneer is as a thin porcelain layer bonded to tooth's outer layer. Veneers are designed from a digital impression of your oral structure and custom made in a professional dental laboratory. Dr. Chan will place the restoration and make sure it looks and feels completely natural. Dental Crowns - Also known as 'caps,' these restorations cover a whole tooth and are cemented in place. Crowns are typically used after root canal treatment but can also cover misaligned or poorly colored teeth. Crowns can last up to 15 years and are usually made of gold, porcelain or ceramic. They are customized made to match your natural teeth or make your smile whiter. Advances in all-ceramic (porcelain) crowns now provide options for patients and dentists to use which type of material for various cosmetic dental options depending on aesthetics, durability, and oral tissue compatibility. Bridges - A bridge can help fill the gap if you are missing one or more teeth. Bridges are attached to the two teeth on either side of the gap, spanning the space of the missing teeth. A false tooth called a pontic is secured to the bridge, replacing the missing tooth. Dental Implants - A dental implant is a permanent 'artificial tooth' that can be used to replace lost or missing teeth. Implants are surgically secured in the jawbone and no other teeth require adjustment during the process. There are now more options for implant dentistry than ever before, including implanted supported bridges and dentures. Implants can also be used in full mouth restorations to provide a fully functioning dental structure for those who need all their teeth replaced. Cosmetic Orthodontic Treatment - Orthodontics is not just for kids, and many adults are seeking treatment from orthodontists for cosmetic purposes. If you have buck teeth or crooked teeth, ask us how orthodontic treatment can help you. 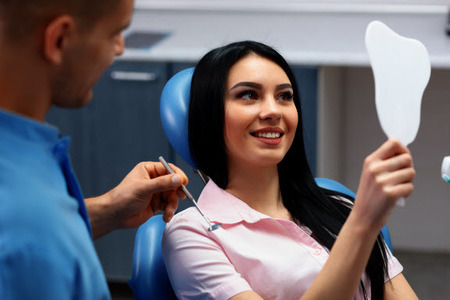 Whether you want to enhance the appearance of healthy teeth or are looking for a cosmetically-appealing way to restore your smile, Dr. Chan and his team first take the time to understand your concerns and expectations thoroughly. We will walk you through all available options and provide education on the best courses of action to achieve long-lasting dental beauty and well-being. Treatment always advances at a level and pace you’re comfortable with, and we deliver consistently attractive results using high-quality materials along with the latest technology. We invite you to contact our friendly dental practice today to learn more about cosmetic dentistry and how we can improve your smile’s appearance. We look forward to helping you achieve your deserved attractive, healthy smile! Contact us today!